Dance Advantage is a blog. Though the content may seem perennially fresh and interesting, it is intended to be and can only provide a chronological, ongoing, semi-permanent narrative detailing the thoughts and opinions expressed by the authors and contributors. In other words, information published today might not be valid or accurate two weeks or two years from now. Dance Advantage is not a peer-reviewed journal. We choose our contributors carefully, however, views and opinions expressed on this blog by guest contributors or columnists are neither researched nor fact-checked by this website or its owner. They belong to the author, contributing guest, or commenter him/herself and do not reflect the views and opinions of any employer, company, or organization. In fact, the views and opinions of columnists, commenters, and guest writers do not necessarily reflect the views of this website or its owner, Nichelle Strzepek. DanceAdvantage.net makes no representations as to accuracy, suitability, or validity of any information on this site and will not be liable for any errors, omissions, or delays in this information or any losses, injuries, or damages arising from its display or use. All information in this blog is provided AS IS with no warranties, and confers no rights. The contents of the Dance Advantage website, such as text, graphics, data, and other material located at danceadvantage.net and its subdomains or aliases are for informational purposes only. The content is not intended as a substitute for professional advice, medical diagnosis or treatment of any kind. Always seek the advice of your physician or other qualified health care provider with any questions you may have regarding a medical condition. Because your health and safety are important to us, we recommend that you consult a medical professional before beginning any form of exercise program, participating in any physical fitness or sports training program, or undertaking any form of health plan, especially if you have been inactive, suffer from obesity, smoke or have arthritis, high blood pressure, high cholesterol, or any other health problems or conditions. Never disregard medical advice or delay in seeking it because of something you have read on this Website. Reliance on any information provided by Nichelle Strzepek, danceadvantage.net, others appearing on the website at the invitation of Nichelle Strzepek, or other visitors to danceadvantage.net is solely at your own risk. If any author, guest writer, or columnist claims or appears to be an expert on a certain topic or product or service area, we will only highlight products or services that we believe, based on our fallible opinion and knowledge at the time of writing, are worthy of such attention. Any product claim, statistic, quote or other representation about a product or service should be verified with the manufacturer or provider. Please use your discretion before making decisions based on the information found on this website. Neither the blog owner or author will compensate you in any way whatsoever if you ever happen to suffer a loss/inconvenience/damage because of/while making use of information in this blog. When reviewing products I, Nichelle, give my honest opinions, findings, beliefs, and experiences on products, even for those companies that purchase ad space but keep in mind that the relationships disclosed on this website could unconsciously affect the content. I can make no guarantees regarding any company or service that is outside of my control. I can only pinky-swear as a fellow dance teacher and dance consumer that I have the best interests of readers at heart no matter what I stand to gain from a relationship. Opinions are subject to change and if I change my opinion or find that I have previously made statements which are untrue, I will seek to correct this misinformation in a timely manner. I may update old posts but I am not bound to explicitly state all corrections made in the revisions. As a writer and editor, I care deeply about accuracy but everyone makes mistakes. This website may inadvertently link to or contain content (text, files, graphics, etc.) that cause offense but I assure you no harm is intended. This website in no way condones, endorses or takes responsibility for such content but it is my policy to correct mistakes discovered or brought to my attention. If at any time you disagree with of the opinions, assessments, or reviews on this website, feel free to leave a comment on the post or contact the blog owner. I simply ask that you communicate in a respectful manner rather than an inflammatory one. I reserve the right to remove comments at my discretion. Content on Dance Advantage may not be republished in full elsewhere online without written consent. Quotes or short excerpts, properly cited or attributed, are welcomed and appreciated. If you wish to reprint a post for personal use or even to redistribute to students, fellow teachers, parents, or dance enthusiasts, I ask that you utilize the provided PDF link below the article. 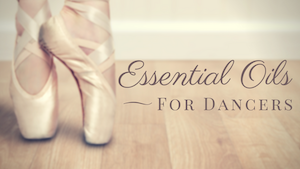 This not only quickly provides an attractive ready-to-print copy but ensures that the author and Dance Advantage receive credit for the work. I would love to know which articles you’ve found most useful! Drop me a line if you decide to use a post for distribution in your classes.